The primary purpose of the Distinguished Lecturers Series (DLS) and Lecturers Series (LS) is to promote contacts between AUBG and the International environment. 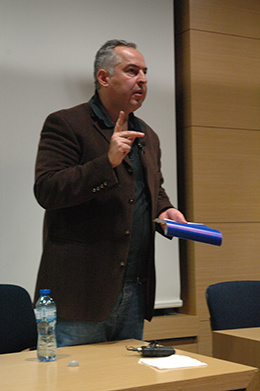 The visits of high quality lecturers coming through the DLS, as well as other prominent guests, who come to deliver public speeches at AUBG, clearly serve to promote local and international awareness and recognition of AUBG as demonstrated by their professional reputation and activity. The lectures coming under the Distinguished Lecturers Series and the Lecturers Series are organized in accordance with the Guidelines for the Distinguished Lecturers Series and Lecturers Series which are approved on an annual basis by the University Events Committee. Those AUBG faculty members who want to organize a lecture at AUBG should contact the Conferences and Events Office at least three weeks prior the event. According to the Guidelines, for organizing a particular lecture part of these series, AUBG faculty members should fill in a Lectures Request Form (available in the University Events Office, Room #2, MB Ground Floor), have it approved by the faculty representative to the University Events Committee or by the Faculty Assembly Chair and submit it to the Conferences and Events Office at least 15 working days prior the event. Any AUBG student or staff member who would like to initiate a lecture under the Distinguished Lecturers Series and Lecturers Series funded by the DLS Account, should organize it with the assistance of a faculty member, who works in the relevant teaching field. Also, the event should be organized in accordance with the current guidelines. If you want to take advantage of the AUBG facilities and services for your training programs, seminars, conferences, or any other meetings, please contact the Conferences and Events Office.